We last reported a few weeks back that TV One was making some minor changes to its September line-up, now TV One has announced its official fall schedule, which will start on Sept. 25. Starting Monday September 25, TV One introduces the recent UPN sitcom Eve to its primetime lineup weeknight at 8:30 p.m & encore at 12 a.m. In the series, recording star & actress Eve (Barbershop) stars as Shelley, a single Miami boutique owner in search of romance and career success. Co-stars include Jason George, Ali Landry, Natalie Desselle and Brian Hooks. 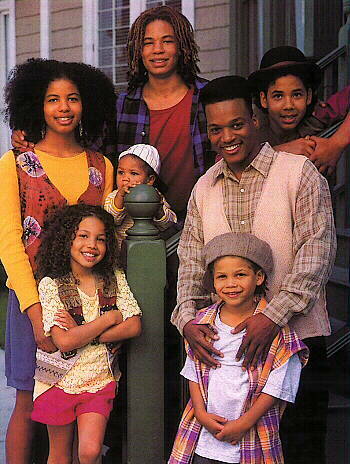 Also joining the weekday line-up will be the short-lived 1994 ABC sitcom On Our Own. It will air weekdays at 3:30 p.m. in the short-lived sitcom time-slot, replacing short-lived sitcom Minor Adjustments. 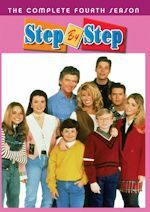 It's comedy, chaos and confusion when the oldest of seven orphaned children, ranging in age from 2 to 20, concocts an outrageous scheme to impersonate his aunt in order to keep his family together in this uproarious, vibrant series from the producers of Full House, Step by Step and Family Matters. Because the siblings lack what the authorities deem a proper guardian, the Jerricos face the threat of being separated and placed in foster homes. Using makeup, a wig, and a lot of imagination, the eldest becomes the kids" long-lost "Aunt Jelcinda." Although the Jerrico's compassionate young caseworker sees through the disguise, her strict boss does not, and flirtatious "Aunt Jelcinda" must fend off his romantic overtures while keeping up the charade. Beginning Saturday September 30 at 7:00 p.m., current CW sitcom All of Us joins the TV One weekend schedule, where episodes from its first three seasons will air regularly on Saturdays at 7:00 and 7:30 PM and on Sundays at 3:00 and 3:30 PM, with additional weekend overnight plays. 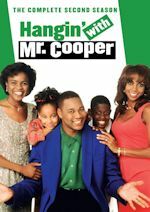 Created and produced by Will Smith and Jada Pinkett Smith, this family sitcom starring Duane Martin, LisaRaye McCoy, Elise Neal, Tony Rock, and Terri J. Vaughn is currently one of the highest-rated television shows in African American households. ME-TV in Chicago (WWME-TV, sister station of WCIU), has announced its fall schedule. Labeled as the Fall For Me, the schedule will start Monday, September 18. They recently created a website and it is now up with video previews and more, click here to view that. They make changes to their line-up each season (fall, winter, spring, summer), as we all have noticed by now. The fall schedule has many additions such as sitcoms, Webster, Gimme a Break!, Roseanne and dramas such as Star Trek, Lost in Space, Gunsmoke. They will also add the durable America's Funniest Home Videos. 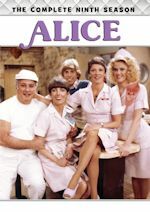 Favorites such as Batman, Facts of Life, Diff'rent Strokes, A-Team, I Love Lucy will remain on the schedule, but shows like Hunter, Munsters, Addams Family, Partridge Family are unfortunately off the line-up. 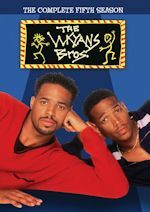 We at SitcomsOnline.com are proud that Webster is back on TV! It has not been seen on television in years! For the COMPLETE ME-TV Fall schedule, click here. As I have said before, you people in Chicago are very lucky! We in New York need a ME-TV type channel!